The Australian Turf Club, the heart of Sydney Racing! With a proud heritage of racing dating back to 1833, the iconic Royal Randwick and Rosehill Gardens are at the forefront of thoroughbred horse racing, minutes from the Sydney CBD and entertainment. Discover Sydney’s ultimate fashion, lifestyle and thoroughbred racing experience. Experience the plush surrounds of the award-winning restaurants with impressive views of the home straight and winning post, providing racegoers the perfect way to enjoy the races. The Royal Racing experience includes a 3 course premium lunch made from freshest seasonal local produce partnered with a beverage package and offers guests a once in a lifetime guided behind-the-scenes tour to gain an exclusive insight to the Sydney racing scene. 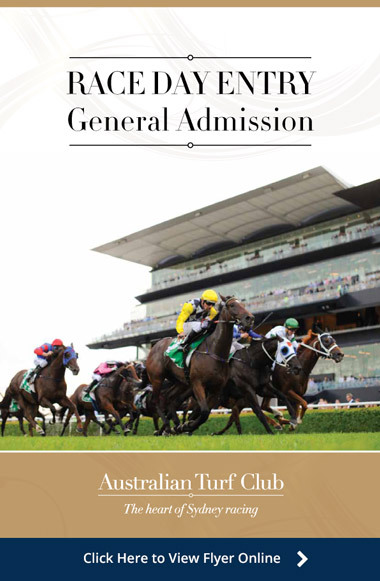 An unforgettable day encompassing all of the best elements of Sydney lifestyle, fashion and thoroughbred racing. The Star Chinese Festival of Racing celebrates Chinese Luna New Year in spectacular fashion at Sydney’s premier racing venue Royal Randwick, giving a unique opportunity to relish a cultural experience like no other featuring food, entertainment and the thrill of thoroughbred racing. 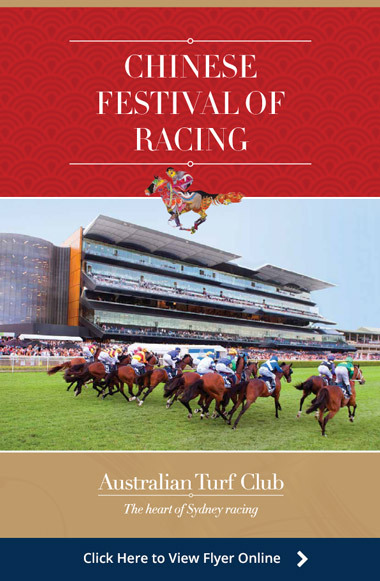 The Chinese Festival of Racing Official Function is the ideal way to celebrate and indulge in Royal Randwick’s award winning hospitality. The Luncheon includes a seafood and local produce buffet and beverage package, perfectly balanced to delight the senses. Working with the experts, we develop & implemented a wide range of authentic experiences within our premium locations at Royal Randwick & Rosehill Gardens. Arrive in style by helicopter with our exclusive charter service or luxury vehicle for unique VIP entry. 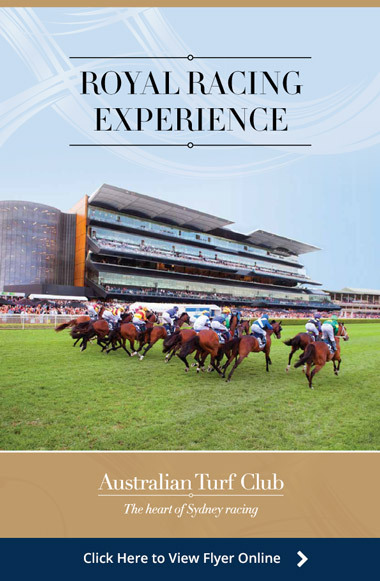 Experience a bespoke afternoon of fine dining selections, stunning views and relish in the tradition of Australian thoroughbred horse racing. Take a look at the #theraces photos shared by our guests!